Glitz, Glam & Everything Gold Sequin! 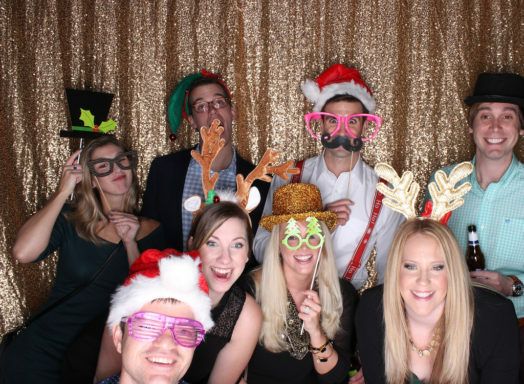 Y’all, we know how much fun a photo booth is at a wedding, birthday party or corporate event! Props, fun pictures with your friends and family, cute photo strips, but there is always room to spice it up a little. 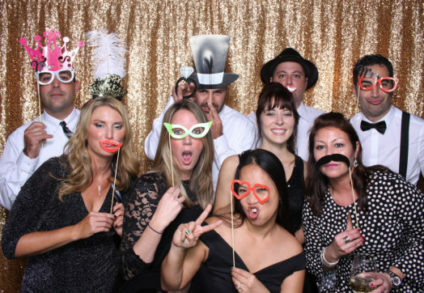 Want to add something fun to your next photo booth rental in Raleigh? Think about adding one of our awesome sequin backdrops! 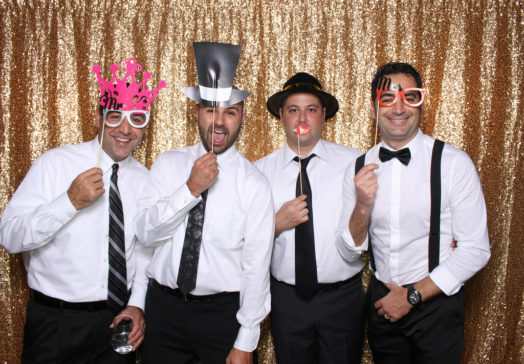 All of our photo booth rentals come with unlimited photos and strips, a box of fun props, a photo booth attendant, an online gallery of the photos, a flash drive of the photos and a black backdrop. Don’t get us wrong, we love our sleek black backdrops, but adding one of our sequin backdrops can definitely jazz up your photos and even match the colors of your event. Our sequin backdrops come in four different colors, silver, pink, gold and rose gold and are only $95 to add to your rental. For Red Hat’s Annual Holiday Benefit at the Raleigh Convention Center, they decided to add the gold sequin backdrop because they thought it would be a perfect addition to their holiday theme. So festive! Their photos turned out awesome and the gold sequin backdrop was just the icing on the cake for this nice holiday benefit! Several other companies over the holiday season thought it would be fun to add our gold sequin backdrop including Triangle Family Dentistry, Ignite Social Media and Google! 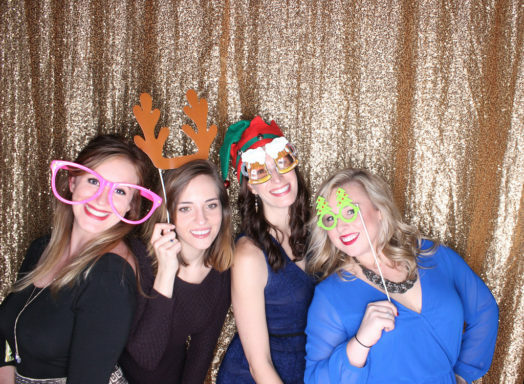 When thinking of booking your next photo booth for your event in Raleigh, be sure to think about adding a sequin backdrop to spice up your event!